The finish line is in sight – as you continue to focus on the growing season by carefully scouting and adjusting inputs, harvest is just around the corner. It’s an exciting time of year as you look forward to seeing the end result of all of your efforts. In my role at Climate, I work with teams to analyze data that comes from over 6,000 acres across our five Climate Research Farms, where we collect large amounts of agronomic data through farm-scale experiments. We use the results of these experiments to build and refine features for the Climate FieldView™ platform. In the course of these experiments, we gather significant amounts of harvest data in real-world applications. However, even in this controlled research environment, we can encounter harvest data-gathering obstacles. From these challenges, we gain valuable insights, and to help you prepare for harvest season, we are passing on to you key tips based on our learnings. But before we get to the specifics around harvest, we have to think back to planting. 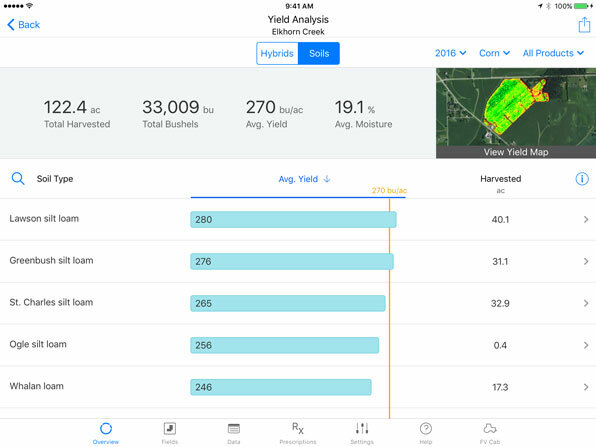 Now is the time to ensure that your planting data is in your FieldView account, so that when you harvest, our yield analysis tool can deliver the insights you need to make the best decisions as you plan for next season. With FieldView yield analysis, you can compare planting and other critical data to your harvest data, analyze seed performance and evaluate the impact of your other input decisions on yield this season, so you can maximize profitability next season. Easily analyze performance by field, soil, or seed type, to see what worked and what didn’t. Analyze yield by field, soil, seed type or region with FieldView yield analysis tools. Planting data is uploaded and organized. Doing this is critical so you have access to yield analysis data once you complete harvest. Here are details for uploading planting data through the FieldView data inbox. Combine is compatible with the Climate FieldView™ Drive. Full FieldView app and Climate FieldView™ Cab app are updated. Check for FieldView and FieldView Cab app updates on your iPad® device now. iPad® device and FieldView Drive or Precision Planting 20/20 YieldSense® are properly connected in your combine. Combine is set up in the FieldView Cab app. This will ensure that you will be ready to go when it is time to harvest your fields. Fields are ready to work at harvest. FieldView rainfall reports provide field-level rainfall estimates so you can see if your fields are dry enough for harvest. Account settings are enabled to share data with trusted agronomic partners. Sharing this data will help you gather feedback and insights that you can use to make the best decisions for next planting season. Have questions about how to get prepared for harvest? Join one of our free, interactive webinars to get a detailed demonstration of how to install FieldView Drive, how to set up the FieldView Cab app, how to upload planting or harvest data and how to use the yield analysis features. I hope everyone has a safe and productive harvest, and I encourage you to explore these FieldView features to help you plan for a great 2019. If you have any questions, contact your Climate FieldView dealer or the Climate Support Team at (888) 924-7475, or visit support.climate.com for more information. 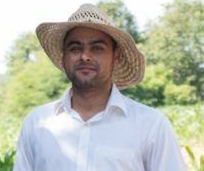 Gurdeep is a field research data engineer at The Climate Corporation. He leads the harvest data automation and cleaning workflow for field research trials influencing future insights and product enhancements. He holds a Doctor of Philosophy (Ph.D.) and a Master of Science (M.S.) in biological and agricultural engineering from the University of Arkansas, Fayetteville.